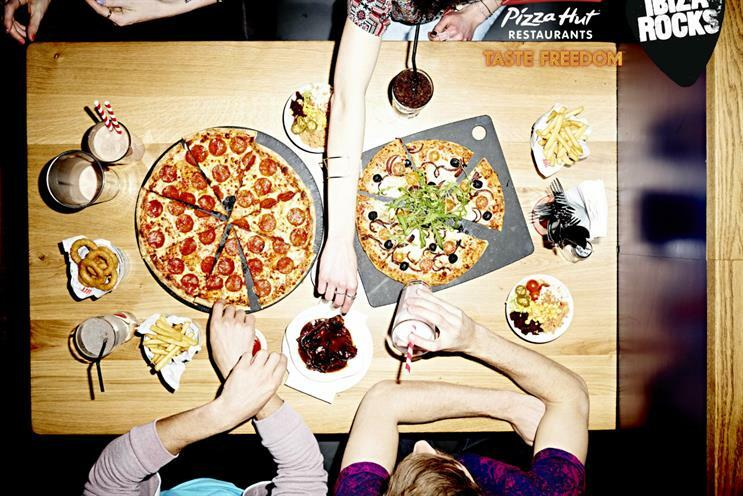 Pizza Hut has hooked up with live music and hotel brand Ibiza Rocks this summer as part of its "Taste freedom" campaign aimed at music-obsessed millennials. Marketing and PR agency Tangerine has created an array of UK-based and in-resort activity, spanning a campaign content hub, experiential events, digital promotions, social media competitions, video, influencer engagement and content shared by DJs. Pizza Hut has produced a 30-second video which aims to persuade consumers to reevaluate the brand and raise awareness of its ongoing refurbishment programme. Sonya Mooney, the restaurant chain's digital campaigns manager, said: "This year we plan to take our new look, new menu and new vibe to the next level by promoting freedom from everyday routine. "For millennials, nothing screams freedom more than that holiday feeling. Ibiza Rocks was a natural partner for us, as it will really help us bring this concept to life in a way that truly resonates. Our content-led and experiential approach will provide us with various touchpoints to authentically engage with customers, ensuring PHR is at the heart of Ibiza Rocks guests over the summer period." Agencies Lexis PR and digital shop Amaze are also working on the campaign. Pizza Hut Restaurants’ "Taste Freedom" brand positioning was launched in 2015 as a means of persuading consumers to ditch the formalities of overly-strict table manners.